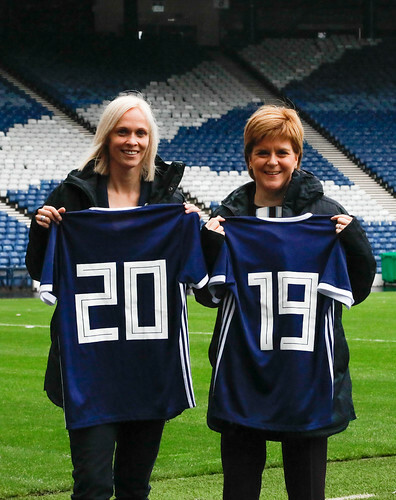 First Minister Nicola Sturgeon announced funding for Scotland’s women’s national team squad which will allow them to train full-time for the FIFA 2019 World Cup. The financial support will allow those players in the national squad who are currently not professionals to train full-time from January ahead of the tournament in France. I’m proud to be patron of the Scotland women’s national team and it’s been fantastic to see the hard work of the squad and staff pay off with their qualification for the FIFA World Cup next year. “This funding will allow all members of the squad to train full-time from January 2019 through to the World Cup in the summer. This will help to strengthen women and girls’ football Scotland, and give Shelley and her squad the best chance of success in the finals.